In the grand history of the Oscars, 1939 might be the most stellar year of them all, what with a Best Picture race that include Of Mice and Men, Mr. Smith Goes To Washington, The Wizard of Oz, Goodbye Mr. Chips, and the eventual winner, Gone With The Wind. In another year it’s conceivable any of those films might’ve taken the top prize – of the losers, I’m especially fond of Mr. Chips – but this wasn’t any other year, this was 1939, and this was the year of Gone With The Wind. I’ll say it right now, I love Gone With The Wind, and I always have. I’ve seen it at least once a year since I was 12 or 13 years –old, meaning I’ve seen it somewhere between 25 and 40 times. That’s a lot of time to devote to one movie, especially one as long as Gone With The Wind, but given the drama, the comedy, the tragedy and the sense of pure cinematic wonder the film evokes, I think it’s also a fair amount of time to give. Still, as much as I love the film, one can’t help but recognize that the story underlying the story of Gone With The Wind – the civil war and slavery – and the novel and film’s take on the subject, essentially paints the film in a weird racial light. On the one hand, the novel and film are racist, romanticizing slavery and longing for a simpler time, when you could own a man and he’d do your work for you. On the other hand, it can be very progressive in its racial attitudes. After all, the character with the most integrity and the one not afraid of anybody is not Scarlett, but Mammy, and while the white plantation owners have a low opinion of their slaves, have an even lower opinion of other whites – white trash, carpetbaggers, etc. 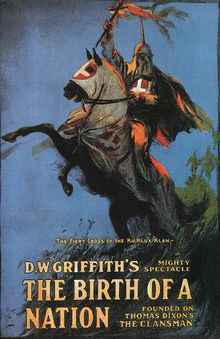 I n some ways, the book is very racially progressive – which is tough to say, given that there is a big KKK element to Frank Kennedy’s death – painting the white characters as being a little more dense than the movie does, quite a bit more helpless, and the slaves a bit more crafty, but in reality, if it’s progressive, it’s only in relative terms. In absolute terms, it’s hard not to agree with Alice Randall, author of The Wind Done Gone, who essentially called Gone With The Wind a horror movie for black audiences. My only response to the racism of Gone With The Wind is that, I don’t love the film or the book because of the racism, I love it in spite of the racism, and should it be excised from the film altogether, I’d be very happy. Unfortunately, it can’t be, so I’ll agree with Hattie McDaniel, who said, “It’s better to play a maid than be a maid,” and remind myself that at least it’s not Birth of a Nation. Looking past the controversial elements, though, it’s near impossible to disagree with the film being Best Picture of 1939. As I said, it has everything, and by everything, I mean a towering performance by Vivien Leigh. As Scarlett O’Hara, Ms. Leigh is a force to be reckoned with: a beautiful, headstrong woman fighting back against any man who looks down their nose at her just because she’s a woman, but who can also be vulnerable and sensitive. In a big way, Gone With The Wind fails if the part of Scarlett is poorly played. After all, Rhett Butler is only in so much of the movie and can only provide so much distraction. If not for Vivien Leigh, who essentially came out of nowhere to take the roll, had fallen on her face, Gone With The Wind would be a footnote in cinematic history and instead of talking today about film failures in terms of Heaven’s Gate, we’d be talking about them in terms of Gone With The Wind. I didn’t actually plan it this way, but it seems fitting that I follow All The King’s Men with Gone With The Wind. After all, in the history of cinema only two films based on Pulitzer Prize Winning books have won Best Picture at the Oscars: All The King’s Men and Gone With The Wind. 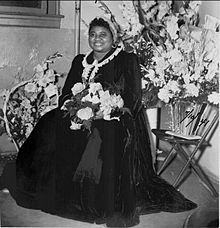 The most important bit of trivia for Gone With The Wind is Hattie McDaniel being the first black performer to win an Oscar. So far, 12 others have followed her. Screenwriter Sidney Howard was not the first posthumous nominee in Oscar, but was the first posthumous winner, for his script for Gone With The Wind. 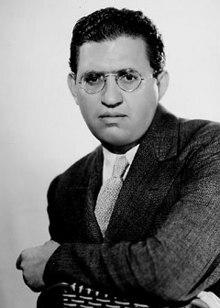 While there are a few producers who’ve won Best Picture three times – Saul Zaentz, Sam Speigel and Irving Thalberg – only one producer has won Best Picture Back-to-back: David O’ Selznick for Gone With the Wind and Rebecca. For the other winners and films left to see, click here.